We were making tapes from Ireland in the process of getting him cast in Spider-Man and then he and I made a tape for The Punisher. During this independent movie that we did in Ireland we were constantly making tapes for Marvel — just acting together. These tapes definitely do exist, you can call Marvel and ask for it, but that’s like breaking into Fort Knox. How ridiculous is that? I mean, I know that the Marvel Cinematic Universe is gigantic at this point, and that the number of actors involved is constantly growing, but who’d have thought that the guys that ended up playing two of the biggest fan-favorite comic characters would be knocking about and making audition tapes together while filming a thriller set in 13th century Ireland? It isn’t the most interesting comic book story, but it’s the perfect piece of trivia that will no doubt make for some fertile Marvel-inspired meme-making once both Pilgrimage, Daredevil and Captain America: Civil War have been released. As well, those audition tapes are just begging to be released to the public, even if it means having to wait for a Blu-ray extra. 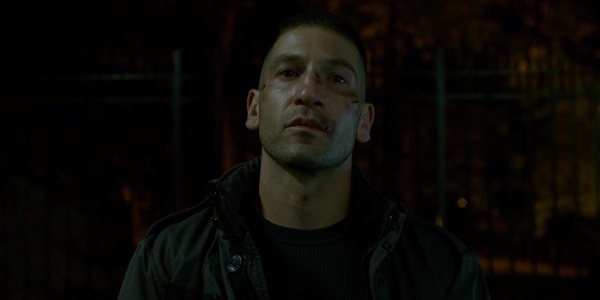 Let me get a good look at what Jon Bernthal brings to The Punisher, and how well Tom Holland handles Spidey, and then show me the tiny performance seedlings that started it all, so I can make a grandfatherly remark on how they were just babies back then. Thankfully, we don’t have that much longer to wait to see both of these actors playing their respective comic book characters. Holland, who got some behind-the-scenes help from Chris Hemsworth in landing his own role, will debut his web-slinging skills when Captain America: Civil War is released on Friday, May 6. Daredevil Season 2 premieres on Netflix on Friday, March 18. And Pilgrimage is set to be released at some point in 2016.